An FBI agent on assignment in Pakistan was detained by authorities in Karachi after he was caught carrying ammunition onto a plane in violation of the law, U.S. and Pakistani officials tell NBC News. 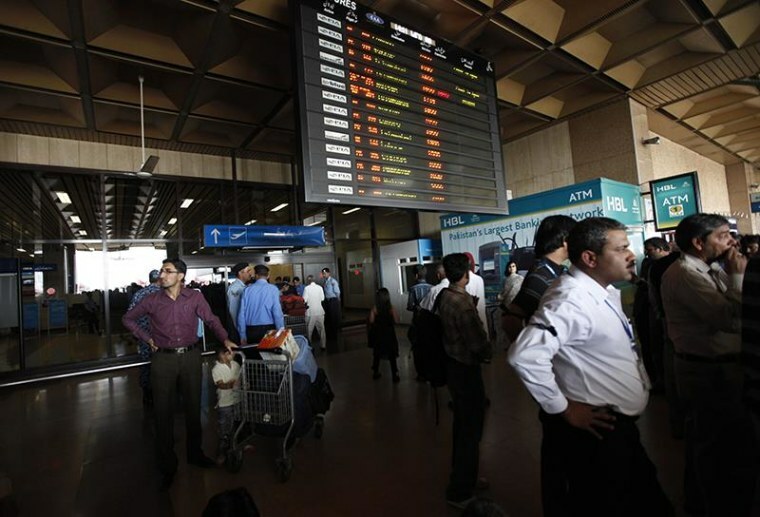 A Pakistani intelligence official, speaking on condition of anonymity, identified the agent as Joel Cox and said he was arrested as he was checking in for a flight from Karachi to Islamabad after security agents found 15 bullets and a magazine for a 9mm weapon in his bag. The official said Cox did not resist when he was arrested and was handed over to airport police for further investigation. The agent could be held until Saturday as the review continues, he said. Meghan Gregonis, a spokeswoman for the U.S. Embassy in Islamabad, declined to confirm any details of the incident, but told NBC News, "We are aware of the situation that has been reported and we are coordinating with Pakistani authorities to resolve this matter." In Washington, U.S. sources confirmed the arrest of an FBI agent and said the detainee had been in and out of the country on assignment recently.